Other Household Toxins is here! I'm excited. The stories in Other Household Toxins have been accumulating for the last 10 years. The collection is an eclectic grouping of flash fiction. From magic realism to in-your-face realism, and everything in between--surrealism, absurdism, hyper-realism (and more -isms)--the collection has something for everyone. I hope there'll be something you love among the 48 stories, but I'm also fairly sure there'll be something here that makes you squirm. Like life. I'm writing this post to thank all the people who have put some work into this collection. First of all, thank you to Randall Brown for believing in these stories and me. I think it goes without saying that Randall is a champion of, and a friend to, flash fiction writers. His website--Matter Press and The Journal of Compressed Creative Arts--was hacked last year. Randall lost everything. In the midst of all that stress he took on my project--so you try and find someone that supportive. Jessica Gawinski did the cover art and design. She's a pro to work with. And we are thrilled with the cover. To Kathy Fish, Sara Lippmann, Michelle Elvy, and Robert Vaughan: Your blurbs blew me away. I'm so grateful to all of you. Each one of you is a champion of flash fiction writers. I see many free drinks in your future. To all the editors who believed in the previously published stories in the collection: Thank you for seeing something you loved in the story you accepted. You know--because I know you are all writers yourselves--what a great feeling it is to wake up to an acceptance (I live in Germany, so it's almost always a morning surprise). I'm also an editor, so I know the great feeling of accepting a story as well. It's like I'm Santa Claus, the Easter Bunny and Oprah all squished up together in cotton candy. And I see you nodding. It's a good feeling. Blue Fifth Review nominated "The Shoes, The Girl, and the Waves that Washed Them Away" for the Pushcart Prize Anthology. Indiana Review chose "When Susan Died the First Time" as a finalist in the 1/2 K competition. The Journal of Compressed Creative Arts nominated "Everything We Had" for The Best Small Fictions and the Pushcart Prize Anthology. The story was a semifinalist for The Best Small Fictions. 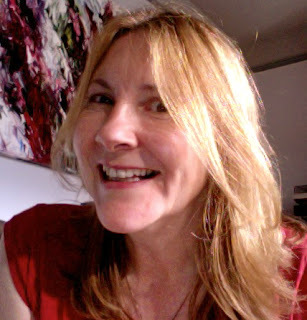 "This Baring Daylight" was a co-winner of the Heat flash competition at AWP. The Molotov Cocktail gave "Birdie's Knowledge of Signs" an honorable mention. SmokeLong Quarterly nominated "When Chase Prays Chocolate" for the Pushcart Prize Anthology. Ginosko Literary Journal gave "A Clown's Lips" its Flash Fiction Award. Reflex Fiction long-listed "A Practiced Silence"
Eclectica Magazine included "Fred's Massive Sorrow" in it 20th-anniversary speculative anthology and also nominated the story for storySouth's Million Writers Award. A-Minor Magazine nominated "Triangulation" for Best of the Net. Bath Flash Fiction shortlisted "To Carry Her Home" and also entitled the anthology "To Carry Her Home," which is probably the sweetest thing that happened to me that year. Thank you also to my SmokeLong Quarterly family, to the editors who commented on stories. Sometimes I think SmokeLong is like a 24/7 flash fiction workshop. Editing for SmokeLong is a privilege that I take very seriously. My undying gratitude goes out to Gay Degani, Rupert Dastur, and Helen Rye who've conducted interviews. Helen, by the way, is organizing my book launch in Norwich, UK on March 3. Thank you, Helen! And thank you to our special guest, Tania Hershman, whose prose has inspired me for a decade. Finally, big hugs to all the people who will review Other Household Toxins. A couple of you I know about already (I'll add your names here once the review goes live), but let me take just a second to thank future reviewers on Amazon (cough, no reviews yet, cough) and Goodreads and other venues where quality reviews are appreciated. If you're the kind of wonderful who likes to write reviews for journals, let me know and I'll get you a pdf (honest reviews only, not looking for wildly positive commentary that no one will take seriously; I will always love you even if you hate my baby, you monster). And to all the people who have bought the book already--and especially to those people who bought several of them!--I hope you love it. Well actually, I just hope you read it. The greatest gift you can give writers is to read their work. That's why I write: because no one listens to me when I talk. I guess I should thank my husband for being very quiet while I try to write. Truth is, it's kind of difficult to get him to shut up sometimes. But he loves me. I'm so grateful for that. Christopher Allen is the managing editor at SmokeLong Quarterly. 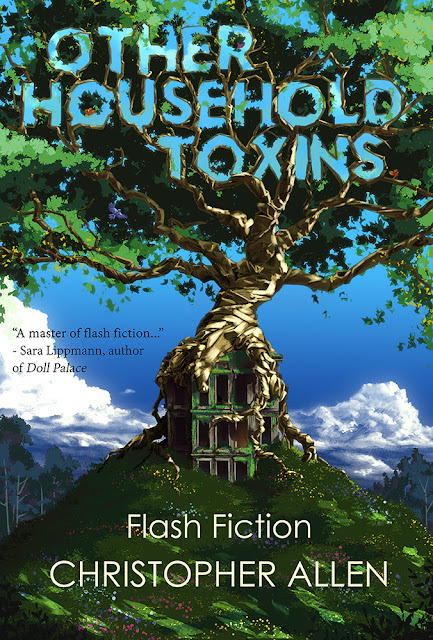 His debut flash fiction collection, Other Household Toxins, is available from Matter Press. Allen's fiction has appeared or is forthcoming in [PANK], Indiana Review, Juked, FRiGG, The Journal of Compressed Creative Arts and others. Read his book reviews in Necessary Fiction, The Lit Pub, Fiction Southeast and others. In 2017 Allen was both a finalist (as translator) and semifinalist for The Best Small Fictions. He lives somewhere in Europe--for now. Congratulations, Chris! I knew a big success like this was coming. I would love a copy of the book...is there a European place we can get a hard copy (and I still - for now - include the UK in that category)? Hi, Paola! Thank you, thank you, thank you! I'll be sending out signed copies in March to people in Europe, payment via PayPal.